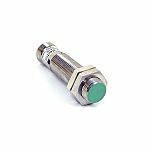 Inductive proximity sensors are a type of sensor that provide non-contact detection of metallic objects. 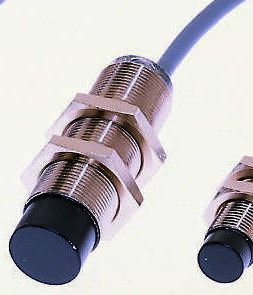 Some sensors can target both ferrous and non-ferrous metals, while some sensors specialise in sensing only one type (ferrous or non-ferrous). 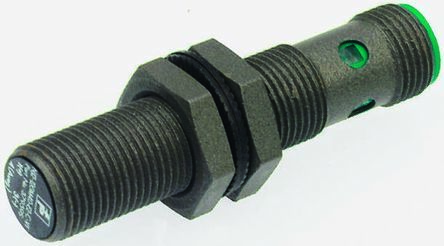 Inductive proximity sensors can be cylindrical, rectangular, or encapsulated in flat housing. 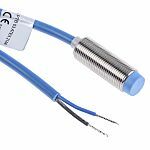 Inductive proximity sensors contain a coil and an oscillator that create an electromagnetic field close to the sensing surface. When metal enters this field, a change occurs in the oscillating amplitude. This in turn changes the sensor output, showing the user and/or corresponding equipment that metal has been sensed. The operating distance varies between sensors, and can be affected by the target, the shape of what is being detected and what environment or material you are using the sensor in. 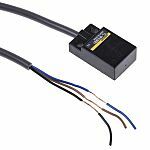 These are all things to bear in mind when choosing the right sensor for your application. 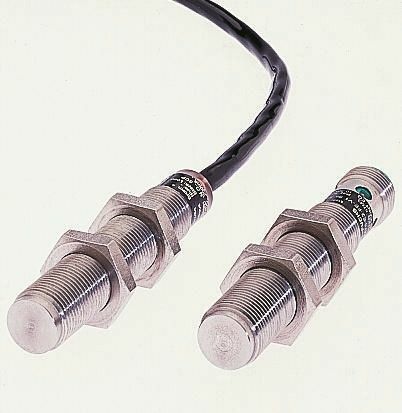 Inductive proximity sensors are suitable for use in virtually any industry. Common applications include the food and beverage industry, robotics, machine tools, packaging and materials handling among many others. 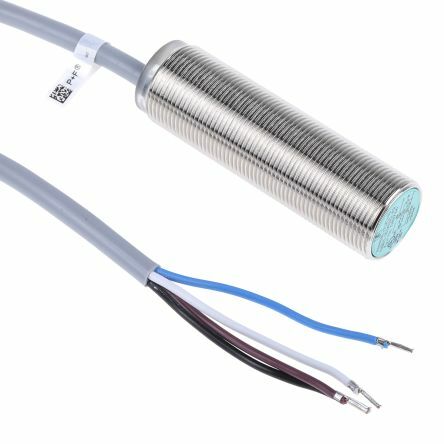 Nickel plated brass housing with PBT sensing faceLED indicationEmbeddableIP67Operating temperature range -25 → +70°CNo load current 20mAEN60947-5-2Short circuit and reverse polarity protectionConfigurable N/O or N/C contacts.